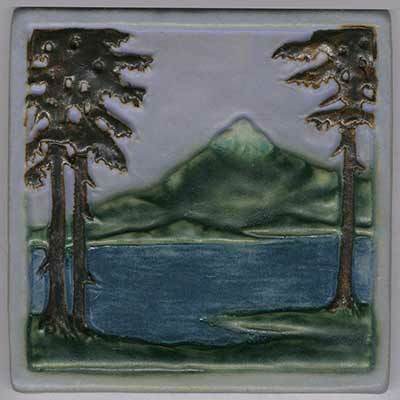 The Mountain tile measures 6" square and has a sculpted surface and raised border. Choose any single color or we can customize the sky, water and mountain colors in a multi-color combination. 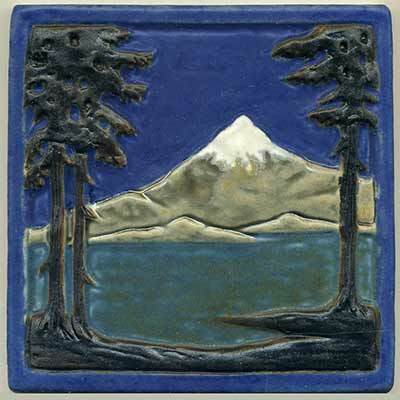 Colors shown: blue violet background with pine green mountain; dark blue background with field mouse brown mountain.